Many recent studies have shown the importance of melatonin to human health. We need this hormone to get both enough sleep, and high-quality sleep. It is also crucial as an antioxidant, helping to remove toxic compounds from our cells before they can cause damage. Last, melatonin appears to be important in signaling DNA repair, a process that prevents cell aging and even cancer. According to new research, melatonin may be even more important than previously thought. Studies on the protective role of melatonin in neonatal diseases suggest that this hormone is crucial in the development of fetuses and may even be a viable treatment for the very sickest of newborns. Much of pregnancy passes by without us being cognizant of any but the most obvious effects. However, the early prenatal period is time of precariously balanced growth factors and biochemicals. Melatonin appears to be one of these critical hormones. Prenatal cells grow and differentiate quickly, with a huge rate of growth and metabolism. As a result, they undergo a great deal of oxidative stress. Excessive levels of oxidative stress in the neonatal period have been linked to a variety of complications, including miscarriage, pre-eclampsia and stillbirth. Melatonin appears to combat this oxidative stress, lowering the rate of deadly complications. Although there are still many studies to be done before melatonin is recommended for pregnant women at high risk of certain complications, it appears to be crucial in pregnancy. According to new research, it may be extremely important in the newborn period as well. Although melatonin is important during the prenatal period, it also remains important after birth. 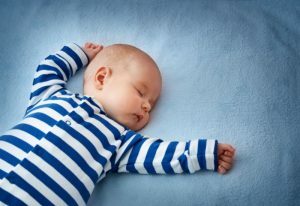 Newborn babies have a very dysregulated sleep schedule in their first days, but a healthy newborn nonetheless has a defined circadian rhythm with healthy levels of melatonin. Infants who are born prematurely or born with health problems often have low levels of melatonin. This can be a huge disadvantage in an already sick baby. Melatonin is still important as an anti-oxidant in the neonatal period, so this lack of healthy levels of melatonin can lead to increased levels of oxidative stress. According to new research, melatonin also may protect sick newborns from brain injury, a common complication as sick newborn babies struggle to breathe. Could melatonin help to treat newborns who have experienced low oxygen? Researchers gave melatonin to a group of newborns who had different conditions causing low oxygen levels. These infants showed lower levels of oxidative stress and certain biochemical markers of brain damage than similar infants who were not treated with melatonin. Melatonin also appears to reduce the risk of other common illnesses in premature infants, such as gastrointestinal complications. Should every sick newborn be given melatonin? Many doctors who specialize in treating premature infants are beginning to study this issue. Although more study is needed, there may be a near future in which melatonin is used to prevent these and other conditions. In addition, doctors suggest that it may be an effective pain reliever in newborns as well. Should you be giving your baby a melatonin supplement? At this point, research does not suggest any benefits for healthy infants. Although they wake often at night and nap frequently throughout the day, this is actually a healthy natural rhythm for that age. In addition, most babies settle into a normal diurnal rhythm within a few months. However, melatonin may be important for sick newborns and those that are born prematurely. In addition, it is incredibly important in the neonatal period. 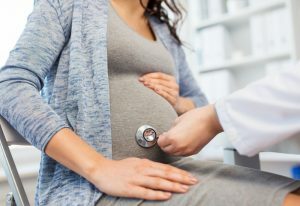 Although there is currently no recommendation for women to take this supplement while pregnant, you can produce an ample amount on your own if you have a healthy circadian rhythm. In addition, melatonin is crucial even as we age. From childhood through old age, this hormone helps us to sleep and to perform a wide variety of important biological processes. Although it can be difficult to maintain a healthy circadian rhythm, research suggests that this is one of the most important things you can do for your health.